Introduced in September 2007, the iPod nano (3rd Generation) was a radical departure in form factor from the previous model. In order to accommodate a screen large enough to allow reasonable display of video, it was shorter and wider than any previous iPod nano, for which it garnered the nickname "fat boy." 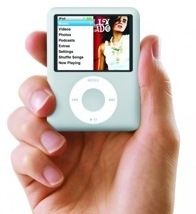 The iPod (3rd Generation) used the same new-look OS as the simultaneously-released iPod classic, and was available in two capacities: the 4 GB model was available in silver only for $149. The 8 GB model, available in silver, black, blue, green and a (PRODUCT) RED special edition, sold for $199. 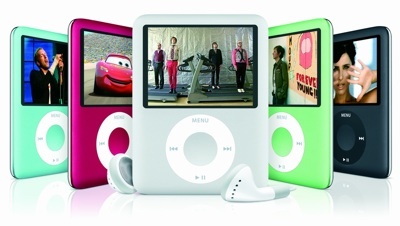 In January 2008, a pink 8 GB model was added.